Mix all the ingredients together in a food processor. Heat coconut oil over medium heat and then pour in batter to desired size and thickness. These are delicious and will go amazing with Cashew in a Chicken Sauce. 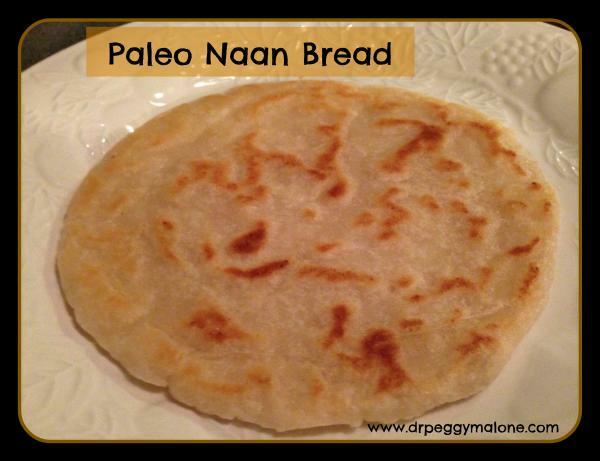 In your paleo naan recipe, what type coconut milk is used? There’s canned full fat or lite, or the cartons of coconut milk. I would like to try these and get the best results. Are these low carb friendly? Would you know the approximate carb count for one serving of these? I don’t think they would be considered low carb. As you can see from Sherry’s comment, Tapioca is rather high in carbs. 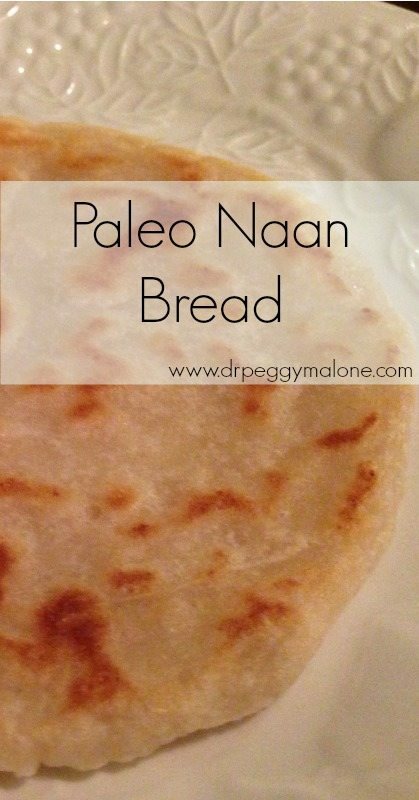 Tapioca starch has 28 grams of carbs PER 1/4 cup… this recipe has 1/2 cup of this ingredient… how is that paleo? Paleo is not necessarily low carb. All of the ingredients listed are considered paleo. The coconut milk that comes in a carton often has preservatives like carrageenan which I recommend avoiding if possible. What could I use to replace almond flour since my son is allergic? You could experiment with other nut flours unless your son is allergic to all tree nuts. If so, you could try sunflower seed flour. I saw another recipe like this that called for and I have made with coconut flour. Love this recipe! Thank you Dr Peggy! 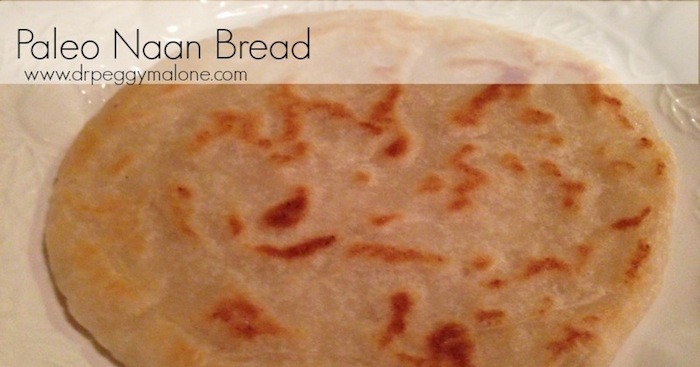 I add fresh minced garlic clove for garlic naan! My recipe doesn’t call for eggs and it is so good. Cook it on dry griddle. When done put Amish butter all over. Wondering how to freeze or bag to take on car trip.